The Thames Valley District School Board will miss out on hundreds of thousands of dollars for energy efficiency projects after the cancellation of Ontario's school repair fund. Ontario's cap and trade program paid for energy-efficient upgrade to school buildings but has been cancelled by newly-elected Conservative government. The Thames Valley District School Board will miss out on hundred of thousands of dollars for energy efficiency projects after the cancellation of Ontario's school repair fund. The newly-elected Progressive Conservative government has scrapped the $100-million Greenhouse Gas Reduction Fund, which gave cash to schools for upgrades to school and administrative buildings. But the Thames board has already spent $3.9 million of its allocated funding, a board spokesperson said. Upgrades worth $750,000 for automated HVAC and lighting systems at school board administrative buildings will not happen, Richard Hoffman added in an email to CBC News. Premier Doug Ford called a special summer session of the legislature, which began Wednesday, to repeal the cap and trade law and to legislate striking York University teaching assistants back to work. A Speech from the Throne will happen on Thursday at 2 p.m. The school repair fund gave money to school boards to fund green energy projects. 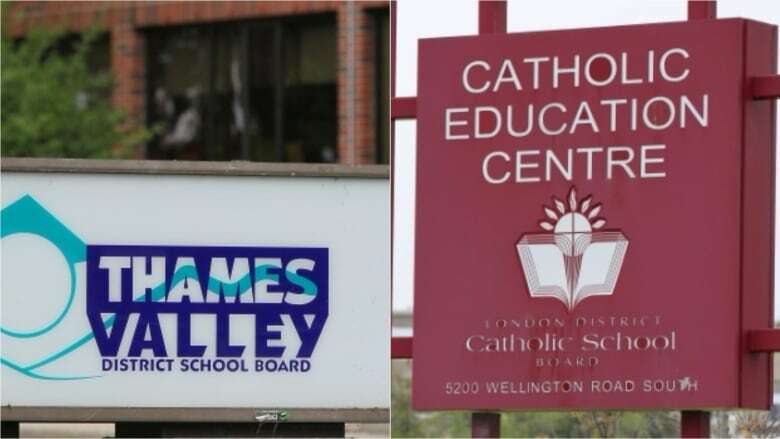 The London District Catholic School Board has already spent its allotment of $528,000 said Jacqui Davison, the board's superintendent of business. "We had seven projects to put in LED lights in schools. Six are done and the seventh is on its way, so this won't affect us," Davison said. However, she said she's disappointed that other green energy projects won't have funding. "I think what is concerning is the uncertainty," she said. "There's a lot of unknowns. We're looking forward to the new education minister to be brought up to speed so we know what direction we're going. It's hard to pivot when you don't know what you're pivoting to."